This contest is to show off your website authentication, authorization, and accounting (AAA) skills. 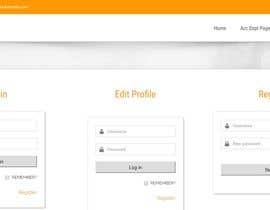 You will build a simple prototype website that demonstrates user, group, and role-based permissions. The objective of this prototype site is to demonstrate limited access to "content" to specific users, groups, or roles. In a B2B environment, this COULD be the sharing of a PDF file, image, or page with a business partner. Where ONLY the business partner has the ability to access specific "content". There are many different frameworks and package combinations that can be used to implement AAA. The developer is free to use ANY framework, package, stack, or architecture they would like to use for this contest. However PHP and MySQL/MariaDB compatible architectures MAY be favored, due to the contest holders skills. Just being honest. 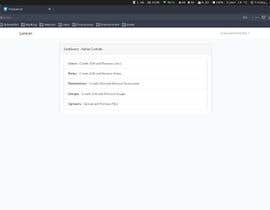 The developer will provide a URL to a working prototype, including administrative user access; with the ability to create users, groups, permissions, and add some type of "content" for testing. The type of "content" MAY be defined by the developer. The prototype website WILL demonstrate access to existing and new "content"; to include accounting, logging access attempts to "content". The prototype website will provide an overview, identifying the architecture, stack, framework, the packages in use, and other details about the build. The prototype website will provide a complete dump of all backend data for review. Such as the database tables, pivot tables, hierarchical graphs, redis, etc... This is to understand the methods and associations used for the users, groups, and permissions. An important item to consider, is how a typical business MAY be structured. An organization "Company Z" may have divisions, groups, teams, or sections. Company Z's divisions COULD include; Admin, Engineering, Operations, Supply, etc.. Where the Admin Division MAY have various sections, such as HR, Finance, Accounting, etc.. Each having one or more users. The primary goal of the prototype is allow any user at "Company Z" to access specific content. While some content is limited to anyone in the Admin Division of Company Z. And other content can only be accessed by Company Z's Accounting Section. 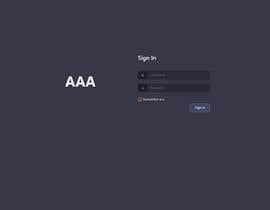 The contest holder ALREADY has websites that support AAA as described above. The point of this contest is, to see how another developer will implement AAA, see what packages other developers choose to use, and move towards an updated stack. This contest is an interview for the next project. The winning developer will be offered the opportunity to work on a subsequent project, adding the desired functionality to the prototype. Feel free to put your best foot forward and use all the resources at your disposal. Third-party OAuth, one-click login links, automatic domain grouping, API access, or whatever else you want to throw into the prototype. There will only be ONE winner, but you'll still have a useful prototype for future projects. I would like to thank everyone who participated in this contest. Many were rejected for not meeting a basic set of requirements or considered it a project to bid on. The remaining five (5) developers all provided GREAT submissions, but the contest can only be awarded to a single developer. The star ratings applied to each submission do NOT reflect on the quality of the work submitted, but simply my personal evaluation of the demonstrated features and functionality. Thank you all! What a shame, I noticed it now. Missed a good opportunity. You can set your submission as sealed, many others submitted their entries as sealed. Once you submit an entry, I could also initiate a chat session, where you can share the auth info. Seems I underestimated the time required, felt I had overestimated the last contest I ran. Would anyone else like me to extend this contest? Let me know if I should extend it by 5, 7, or 14 days? I've extended the contest by two weeks. Can you extend few more days? 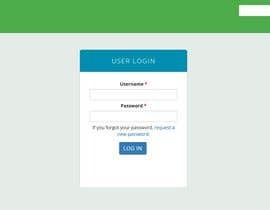 demo credential is also included in login page. Can I call it an intranet? understood. I have something for you. You "have something"? Please submit it as an entry to the contest. Done, the contest has been extended another week. I have extended the contest, giving everyone another week to submit an entry. 1. You're welcome to use any framework you want. I explained this in the description. 2. Accounting in AAA is logging access attempts, successful and denied. 3. I am still working on the content requirements, which will determine the budget for follow-on project. There's no authentication. Just a bunch of front-end content. As the description explains, I am looking to see the AAA interaction with basic content. Once you have a prototype, submit an entry and share the auth details with me. Thank you soo much for clarification. I am new in this part of freelancer.com. So that i hope that you explain me about our contests. If you are available that, I will do my best for you. Thank you soo much sir for inviting me on your project. I have read carefully about the project. Requested to please let me know about the timeline for this prototype please. You should be able to see the remaining time on the contest page. I can extend it, if I get some feed back that it may take a little longer. I targeted the 17th, so I can review the entries during the week.